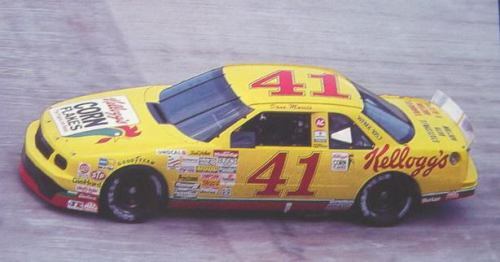 #41 Kellogg's Lumina driven by Dave Marcis and Greg Sacks in the 1992 season. Correct contingencies can be found on the new Powerslide 1990s Grouped Contingencies sheet. This is part of the new "Eco" series from the makers of Powerslide. They have the same great artwork, but are made with limited colors to make them more affordable.